You can Advertise YOUR business with us! Do you ever get loans turned down for the following reasons? You could send your borrower to a hard money or private lender see below. Or you could recommend the Seller takes back a mortgage and, if they like, arrange for the sale of this mortgage, for a fee, at closing. This could even be a second mortgage to help close the gap between the first mortgage available, the down payment possible and the purchase price of the home. 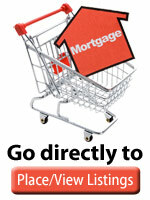 Your borrower can purchase their home. You increase your income by using seller financing as an alternative tool to your existing loan origination business. If you have clients who are receiving payments on a mortgage you can help them sell it for cash. Why expose the mortgage to just one note-buyer when you can expose it to hundreds? Private lenders come in various degrees of sophistication. Some are scared by the thought of a foreclosure, some consider it to be another profit center. Most prefer single family homes. They will often expect your help in debt collection. Reasons why Private Lending makes sense to the investor. There are also many companies making hard money loans.